Plug and play modular system complies to BS476 part B, E & L of Building Regs. Minimum dimming load 40W i.e. 4 x 10W LED modules. Removable bezel for ease of redecoration. 10W total circuit watts 220-240V class II. Diameter 80mm. Recess depth 85mm. Cut out 67mm. 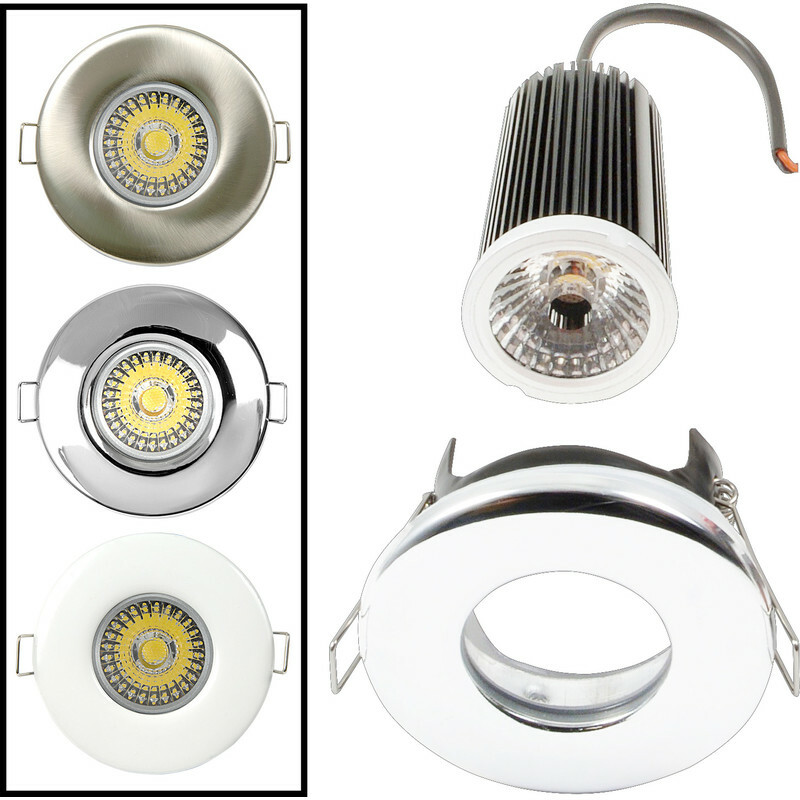 LED 9W Dimmable Fire Rated Downlight IP65 Satin Chrome 580lm 5500K Cool White is rated 5.0 out of 5 by 2. Rated 5 out of 5 by Jackel from Lights Bought two of these lights In branch for bathroom,very bright,then got two more online to replace the other old lights that now looked dim.